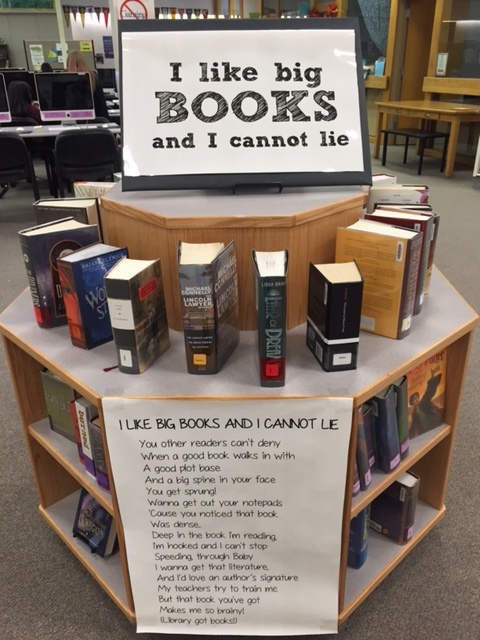 This display got people dancing in front of the circulation desk! 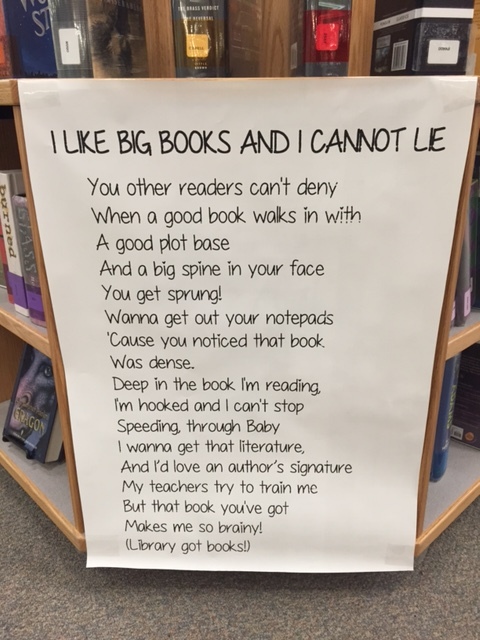 I slightly modified a poem I found here, pulled out the thickest books I could fine, and the rest speaks for itself. Next Next post: Book Stacked Boo!